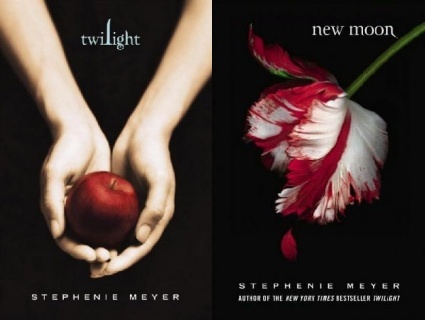 Have you read all the books in Stephenie Meyer’s Twilight saga and are thirsty for more vampires? Here’s a list of Young Adult read alikes that feature vampires or have similar themes as Twilight. Like Twilight, Tantalize is about humans, vampires, and werewolves. The story is narrated by seventeen-year-old Quincie who, along with her uncle, is reopening the family restaurant in Austin, Texas with a vampire theme. When the chef at the restaurant is murdered, werewolf and Quincie’s best friend, Kieren, is the prime suspect. This might appeal to you if you’re looking for a story about forbidden love. Werewolf Vivian falls in love with Aiden, a sensitive human boy she meets at her new school. She finds herself caught between the worlds of humans and her fellow pack members. Sixteen-year-old Zoe is going through an incredibly hard time – her mother is dying of cancer, her father is distant, and her best friend is moving away. She’s all alone when she meets the mysterious vampire Simon. He understands what she’s going through and they help each other with the emotions that come with death. For a funny take on vampires, try the adventures of identical twins Rayne and Sunshine. Sunny gets mistaken for her Goth twin and is bitten by a vampire. She has a limited time to reverse it, or she’ll be a vampire forever. The series starts with Boys that Bite and continues with Stake That, Girls that Growl, and Bad Blood. Need takes place on the opposite coast as Forks, in small town Maine where the weather is cold and snowy. Zara is sent to live with her grandmother after her stepfather passes away in the hopes that it will help her deal with her grief. She soon finds out that an evil pixie king is following her. The natural enemy of the pixie is the werewolf, but luckily there’s a population of them in town. This one starts with a premise that is similar to Twilight, but with a much more sinister vampire. Cynda is sent to live with her estranged father who runs an old inn on the coast of Maine. She falls for one of the guests, the mysterious and handsome Vincent. She knows there is something dangerous about him, but she is drawn to him anyway. Risika is a 300 hundred-year-old vampire and the story goes back and forth from when she was turned into a vampire and the present day. In the present, she must battle her vampire rival, Aubrey. This was first published in 1999 when the author was only 15 years old. There are three more books in the series: Demon in My View, Shattered Mirror, and Midnight Predator. If you like Edward, you will probably also be into Stefan, star of the Vampire Diaries series. He’s a hot, broody vampire with a fast car that’s trying to live as a “vegetarian.” While trying to blend into the community by attending high school, he meets Elena. It may sound like a Twilight rip-off, but it was actually published first. Stefan’s archenemy is also his brother, bad boy vampire Damon. Read my full review here. This collection of three stories is the first entry in the popular Night World series. Vampires, werewolves, witches, and shape shifters make up the secret society of the Night World. There are two rules for their world: don’t fall in love with a human and don’t tell anyone about the Night World. The House of Night series is what you get if you take the vampires from Twilight and combine them with Hogwart’s boarding school from Harry Potter. Teenagers with the vampire DNA mutation attend House of Night boarding schools where they transition into adult vampires, although not everyone survives the change. The series starts with Marked, and continues with Betrayed, Chosen, and Untamed. Sixteen-year-old Bianca is forced to attend the Evernight boarding school when her parents become professors there. She finds that she doesn’t fit in with the other students who all seem beautiful and sophisticated. She connects with another outsider, Lucas, and their forbidden relationship has been compared to that of Bella and Edward. There’s also a sequel titled Stargazer. To continue the boarding school theme, Vampire Academy is about vampires and their guardians who train at St. Vladimir’s Academy. Rose is a halfblood who is training to become the guardian of Lissa, a mortal vampire. Along the way, Rose falls for her hunky fight instructor, Dmitri. There are no vampires in this novel, but Twilight fans might like the love triangle between Laurel, nice guy David, and the faerie Tamini. Laurel meets David when she begins to attend public school for the first time as a sophomore. She’s different from the other kids, the most obvious difference being the wing-like blossom that sprouts from her back. Morganville, Texas is home to Texas Prairie University and also happens to be run by vampires. Sixteen-year-old Claire isn’t aware of this when she enrolls for her freshman year at TPU. She ends up living off-campus at the Glass House where her new roommates clue her in about what is really happening in Morganville. The only similarity to Twilight is the vampires, but the younger crowd should enjoy it. Read my full review here. This is a novelization of three outstanding episodes of Buffy the Vampire Slayer: Surprise, Innocence, and Passion. As the slayer, Buffy is supposed to kill vampires, but she can’t help but be attracted to vampire-with-a-soul Angel. Unfortunately, there are deadly consequences for their forbidden love. Do you have any books you want to add to the list? Leave your suggestions below!